Thank you guys so much for bearing with me this month. 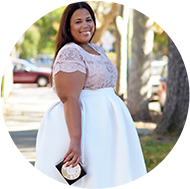 Preparing for theCURVYcon pretty much took all my attention and so the blog posts were slacking. Anyways, I actually took this jumpsuit with me to NYC and wore it when I went to Chef Roble's restaurant, Street BK, in Brooklyn. I ordered this online and was definitely surprised by the material. I think I was expecting a ponte, but it's a very thin fabric. It also stretches. Because of the thinness of the fabric, I am wearing tights that are leggings. The fabric pretty much showed all of my cellulite. LOL. I do, however, like the fabric. It worked well with my shape and felt was very warm weather appropriate. I ended up getting a size 26 in the jumpsuit. 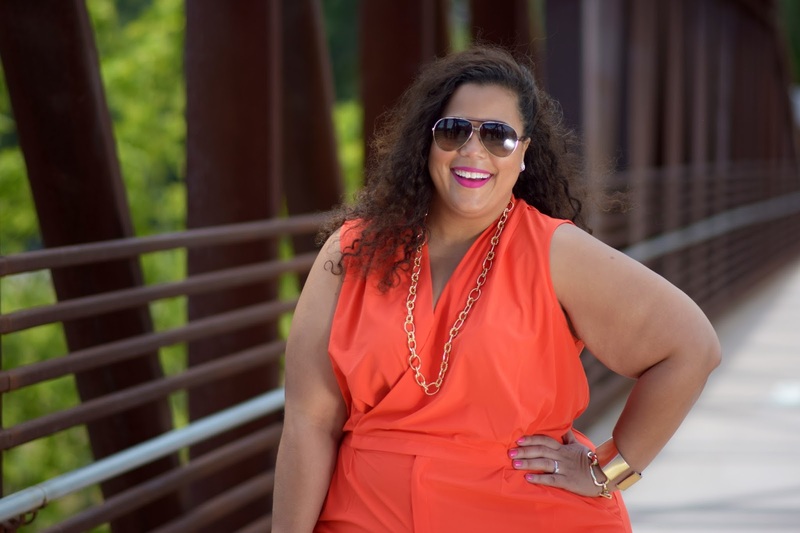 I actually saw someone at #theCURVYcon in the jumpsuit and they looked very cute. 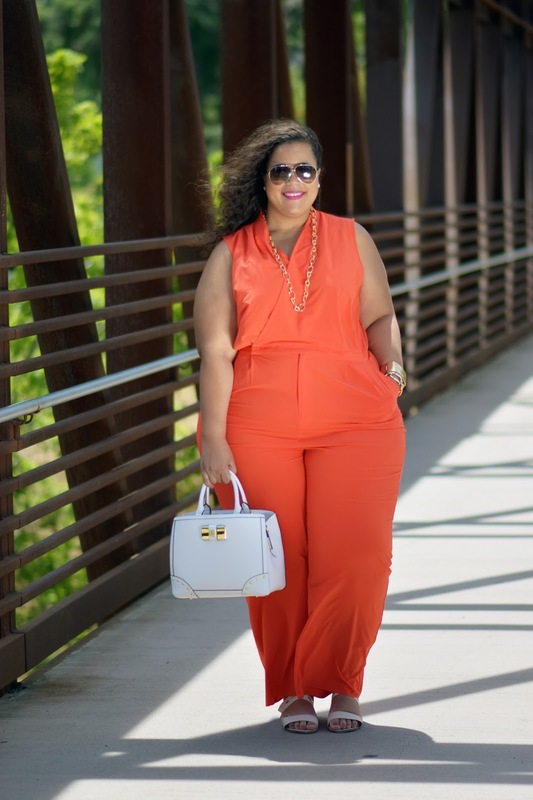 Style Note: This jumpsuit is from the Lane Bryant 6th and Lane Collection, I didn't see it online anymore, but I did see in store a few weeks ago. I wold check in-store. Jumpsuit - Lane Bryant, Shoes - JustFab (soldout), Bag - Ross, Lip - Nars "Schiap"